If there’s one thing we’ve learned about ’68, it’s that they have no problem marching to the beat of their own drum. 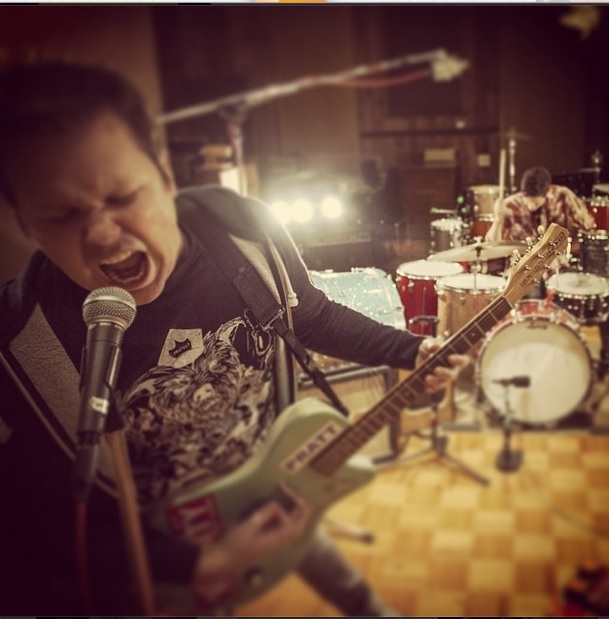 Since bursting into the centerfold this past December, Josh Scogin (The Chariot, Norma Jean) and Michael McClellan have crafted a unique brand of noise that is loud, aggressive, and defies classification in the best way possible. Yes, you read that right—two music videos. One contains Scogin wailing like a banshee, while the other finds McClellan beating the absolute crap out of his drum set. In order to hear the full song as the outfit intended, both clips must be played simultaneously. Admittedly, this approach may sound a little strange at first, but according to Scogin, there was a great deal of thought put into the choosing of this particular format. Pretty legit, right? Both videos can be found below, and though it may take you a few tries to get them both synced perfectly, I promise that the final product is well worth the effort. If you’re a fan, you still have time to pre-order In Humor and Sadness before it hits shelves July 8 via eOne Music/Good Fight Music.